The global 60GHz market is healthy and growing, with a bright future for the next few years, focused on Europe. That’s the view of industry analysts and they have strong numbers to back it up. According to EJL Wireless Research, the 60GHz radio market is forecast to exceed 200,000 units by 2020 with a CAGR of 109%, and Europe will remain the largest region for point to point (PTP) radio shipments through to 2020. The global PTP radio market increased by 17% last year, according to the latest report titled: Global Digital PTP Radio Market Analysis and Forecast, 2015-2020. The report highlights how PTP radios will remain a key technology for both mobile and non-mobile applications as the industry enters the era of multi-Gbps throughput capacities. It offers a compelling and cost-effective alternative to copper and fibre backhaul. In addition, the first commercially deployed 60GHz point-to-multi-point (PTMP) networks are now starting to appear. 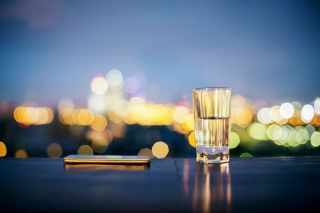 The report also indicates a strong trend where millimetre wave technology will drive new market opportunities and growth outside of mobile networks for the PTP Radio industry. It seems the age of broader market acceptance is finally here. As more competitors enter the market, of course, this drives down price and for the first time customers can today buy kit for a 60GHz link, giving up to 1.5kms range, for under £1,000. A far cry from the exorbitant laser costs from the last decade. In the US, 60GHz is finding a growing demand from Wireless ISPs as they roll out and update services in urban areas. But it’s not just wireless providers, the bulk of the market lies with businesses connecting regular buildings with gigabit throughput, as a replacement for fibre. Such ‘wireless fibre’ is a fraction of the cost of fixed line fibre deployment, estimated at $82k/kilometre in urban environments. Without the need to dig up roads and physically lay cable, a wireless install can be just 2% of this cost. In addition to being incredibly cost effective, 60GHz has number of major commercial benefits that is proving attractive to UK and European corporates. The 60GHz band is ideal for upgrading from 5GHz networks, where spectrum is increasingly congested, and is capable of reaching 950Mb throughput. The unlicensed 60GHz band also provides more predictable performance, as it experiences no beam interference. Setup and maintenance is much lower than laser links. In addition, cloud management is becoming a major selling point as remote office Wi-Fi can all be connected, maintained and controlled centrally. An example of specifying 60GHZ over laser is highlighted by CNI Europe Ltd, which has been supplying building-to-building telecoms and data links to companies across Europe for over 10 years. The company recently installed an IgniteNet MetroLink PTP radio bridge for a utility company based in Buckinghamshire. Rather than specify laser links, CNI prefers 60GHz radios, when fibre is not an option. And for good reason, laser links have a high service overhead – including requiring regular cleaning, are subject to misalignment with building movement and, in the majority of cases, laser links will require a 5GHz radio as backup anyway. Another benefit over laser links is that 60GHz radios have a lower susceptibility to environmental conditions, such as rain/snow, are aligned more easily, and dramatically reduce ongoing maintenance costs. CNI was initially called to service the laser link due to a fault. As the lasers were well past their service life, the company ended up installing a pair of 1Gb links to create a triangle between three buildings. This allowed them to dramatically increase the speed of the network while adding redundancy. In addition, the hardware has integral backup 5GHz radios so in the event that severe weather produces too much interference for the primary radios, they switch over automatically. As this customer transfers large graphics files around, the network needed to be not only fast and robust, but low latency. Even with their internet/email usage and VoIP telephone system all running, the customer reports that the network is now much faster and more robust. The install took just one day and after initial testing, the link went live with zero network downtime.